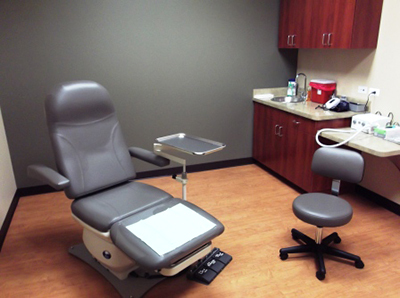 Our modern exam rooms provide privacy, comfort, and convenience. Each exam room provides ample accessibility for all of our patients, including patients with wheelchairs and walkers by providing larger exam rooms. Rooms are equipped with comfortable chairs which are low to the ground. Each modern exam room comes equipped with a digital television monitor to easily view your digital x-rays with ease. Our practice is dedicated to making your visits efficient and convenient. Learn about our office location(s), hours, directions, and appointments here. Prairie Foot and Ankle, P.C. 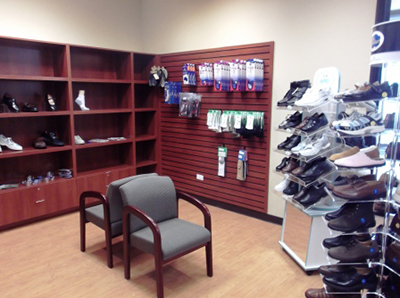 We know you have many choices when choosing a Podiatrist in Elgin, IL, so we have made requesting an appointment a simple process via our Web site. If, for any reason, you cannot keep a scheduled appointment or will be delayed, please call as soon as possible. Charges may be incurred for appointments canceled less than 24 hours before scheduled appointment time. Our office accepts a large variety of HMOs, PPOs, and other health plans. Please call our office to verify acceptance of your insurance carrier.